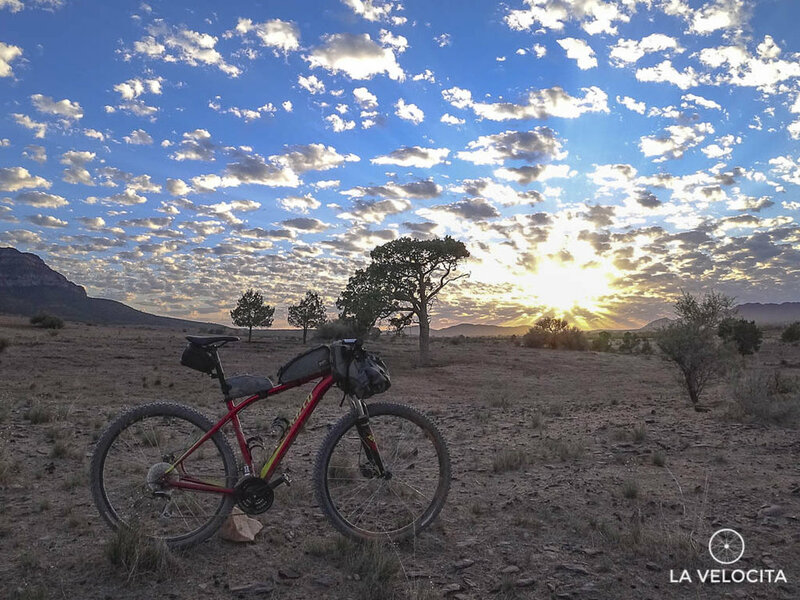 Why all roadies should buy a mountain bike - LA VELOCITA. I’m about as roadie as it comes. Shaved legs, gaunt face, epic Zwift setup, carbon fibre toilet seat. Actually that’s a lie, I’ve never Zwifted. Still paying off the toilet seat. Where was I…? Oh yes! I've piled up a chunk of miles on mountain bikes over the last year and one has found a permanent home in the collection. It has massive tyres, wide bars, and a wheel size that I found confusing and scary. Did you know MTB sizes are measured in inches? Outrageous! You know what? Mountain biking has been a breath of fresh air. Something new and exciting that's made me love riding bikes in a whole new way. I think every roadie should add an MTB to their collection. Here's why! Climbing on a MTB has all the pain, danger, and indignity of a Japanese game show. Ascending on a road bike is kinda hard but it’s got nuthin’ on the MTB. On the tarmac you just have to manage your effort. On the MTB you have to worry about so much more. You’ll be red-lining in your granniest of granny gears while the rear wheel slips, the front wheel pops involuntary wheelies, and you might tumble into the ravine next to the 40cm wide trail. There’s rocks, gravel, deep ruts, tree roots, mud, and surly hikers to make your bike ride feel more like Tikeshi’s Castle. Forget your road climbing technique for the MTB. You have to keep your keister parked in that saddle and grind at 60 RPM. I prided myself on doing hard road climbs. I have been humbled by the MTB. My bike handling has improved greatly since going thicc and getting loose on the MTB. It’s a case of trial by fire as you chuck it down a slippery, rocky, tree-lined trail and wonder if your life insurance adequately reflects your value as a human. I’m no Nino, but I’m chuffed at how much progress I’ve made on the MTB in a few months. You learn so much about working with the bike and trusting it. Point it, let go of the brakes, and believe it’ll carry you through whatever abomination is ahead. It forces you to move your body around far more than a roadie. Hang your arse over the back of the saddle, chew the stem, and scrape the bars on the ground as you tip it in. Be a hero. Be a legend. Be an MTBer. Everything goes when you're riding a mountain bike. From casual shorts and t-shirt to full-body Stormtrooper zombie-apocalypse garb. You can go totally bonkers with a peaked helmet and Camelbak. It's freeing to put on human clothes to ride a bike. No mountain biker will shame you for low sock height or joke when your glasses are inside your helmet strap. MTB clothes are a rainbow vomit of clashing colours and gratuitous branding. It's the Wild West of fashionably unfashionable active wear. That makes it rad. Whether it’s road bikes, cats, coke cans, navel lint, or British Royal Family commemorative plates, having too many of the same thing can make you look like a weird, socially isolated collector. An MTB is the perfect palate cleanser between your road bikes. It’s something that makes you look grounded and more normal. Anyone with an aero bike, climbing bike, crit bike, and TT bike needs some more fun in their life. You need a Hawaiian shirt in your closet full of work clothes. You need a blast of Sriracha in that Banh Mi roll. You need a Peter Sagan in a peloton full of people who aren’t Peter Sagan. I’m also willing to accept a cyclocross bike / gravel / adventure bike as an acceptable road bike buffer. The MTB is ideal though. Get out of that comfort zone! It can be easy to forget why you started riding your bike somewhere between weighing bottle cages and looking up the rolling resistance values of tyres. That might be somewhat autobiographical... Anyways, riding bikes is flippin good fun! Road riding can’t compete with mountain biking from a laughs per kilometer perspective. I still love road riding, but sometimes you need a little extra. A mountain bike in your collection can be like a well-chosen pickle in your delicious sandwich, a Bill Murray Cameo in any movie, and sitting next to someone’s friendly dog at a cafe. You’ve just taken something good and made it great. Getting closer to nature (when you crash headlong into it). Meeting interesting new people (in hospital waiting rooms). Learning about all kinds of silly new standards, proprietary parts, and weird measurements. Winning the Commuter Cup on an MTB is totally baller. Dogs are acceptable around MTBs but are a party foul at road races. Crossing ‘get a concussion’ off your bucket list. Are you a roadie turned mountain biker? Did you find it awesome? Let us know and drop a comment!